“Prevention is better than cure” is a saying that has more relevance in today’s world because cancer does not discriminate between men and women, the poor and the rich, or the young and the old. Research shows that yoga can prevent cancer, and help cancer patients manage the side effects, after treatment. Yoga brings balance and alignment to all body parts and systems namely the muscles, bones, organs, and the mind. Yoga is a timeless pragmatic science that originated in ancient India and has evolved over thousands of years. It is a system involving physical postures, breathing techniques, and meditation which harmonize the physical, mental, moral, and spiritual well-being of a person as a whole. Sree Satkriya Foundation’s “Sat Jagruti” is an awareness campaign which covers perspectives on various aspects of cancer. ‘Yog Drishti’ seeks to provide an insight into cancer from the perspective of ‘Yoga’. As part of our cancer initiative, we met yoga exponent and therapist Ms. Bala Tripura Sundari and got her stance on cancer, healing powers of yoga and much more. Here are excerpts from our conversation. Could you please tell us when and why you decided to pursue yoga as a career? I have been practising yoga for 17 years now and my parents are my gurus. I have seen my father treating many people with different ailments. When these people blessed us for the gift of life my father gave them through yoga therapy, I began to realise/understand the healing powers of yoga. Also in my personal life yoga has helped me to shake off the taboo of being the shortest student in my class. Only after that I decided to pursue yoga as a career. 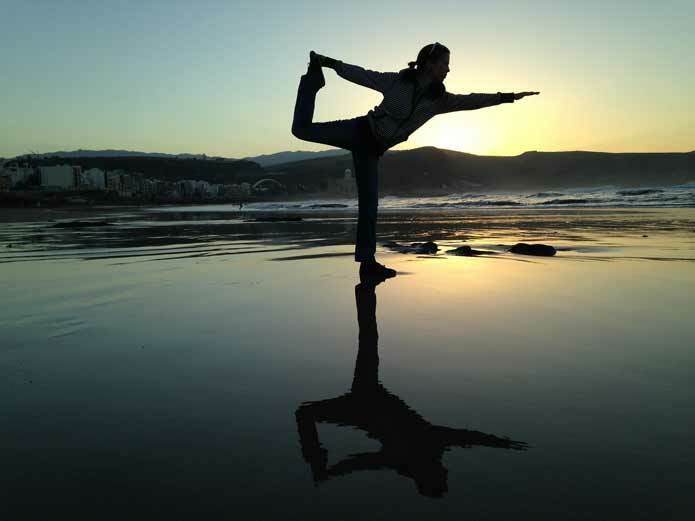 In line with our cancer-campaign, what is your perspective on cancer as a yoga therapist? Let me answer that, to the point. In a person affected by cancer, yoga rejuvenates the person enough to fight out the disease and helps him or her improve the quality of life. Yoga can prevent the occurrence of cancer to a greater extent. Regular practice brings about a sense of well-being by pushing the body towards better strength and better immunity. Calmness of the mind and positivity through meditation help patients find an emotional balance. Do therapies differ? If yes, based on what? Yoga therapy is all about treating a person, keeping in mind her or his physical and emotional state, age, flexibility, and so on. Pranayam with visualization brings about major anatomical changes and speeds up resilience. The thought process will be fine-tuned such that with every breath the cancerous cells get eliminated. Meditation, on the other hand, brings about a change in the mental state of the patient from being restless, anxious, and worrisome to finding peace and prepares them to face the challenge with courage. There is improvement in the quality of life and an increase in social interaction. Does yoga help patients? How? As a rule of nature, our body has the capacity to cure itself. It has the immune power to protect itself from germs or infection. 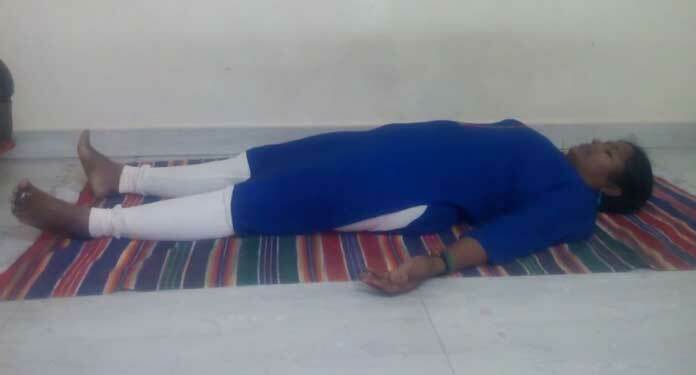 Practicing prescribed asanas, pranayam, meditation, and chantings reconditions the neuro-muscular and glandular system to ensure that adequate immunity is regained. Can you mention a few asanas which can help patients? Maintaining a healthy lifestyle is very important before incorporating yoga into your life. Slight modifications in your daily routine to include yoga will give desired results in the long run. Any form of yoga–asanas, meditation or chanting should compulsorily be learned and practiced only under proper guidance of an experienced yoga instructor. Sitting in vajrasana and bending forward in this asana activate all the glands and ensure their proper functioning. These two are Mandukasana. There are variations for each asana—one with hands stretched out and the other with hands pressing the abdomen. This asana too has the same effect as mandukasana and also improves immunity. The only difference is that this is a standing asana. The second one is a variation with the support of a sofa. This asana opens up the chest and increases the amount of oxygen taken. It also regulates blood flow and removes toxins. Lower back muscles are relaxed when doing this asana thus it reduces lower back pain that patients may usually experience. This asana strengthens the spinal cord and increases the flow of oxygen. The upright position of the legs in this asana reverses the direction of blood flow and regulates it. Any numb feeling in the legs will get reduced by performing this asana. This asana relaxes each and every part of the body. Visualisation and concentration on every part from toes to head while performing this asana help to eliminate cancerous cells. It is important to understand that all these asanas can me made easier by using props. Simple modifications can be introduced to ensure that the therapy is not painful for the patient. What is your message to all of us on World Cancer Day? A person’s faith, self-confidence, and patience play a vital role while looking at yoga as a curative process. The support of family members and friends also plays a major role in a person’s recovery from cancer. It is also advisable to follow proper medication under the guidance of a practitioner or healer..
Ms Bala Tripura Sundari’s guru and parents Sri Gowri Shankar Rao and Smt. Sarada Devi belong to the ‘Guruparampara’ of Yogeshwar Sri Ram Lal Maha Prabhu, Haridwar. An M.Phil. degree holder in yoga, she has won several accolades over the years, at various conventions. 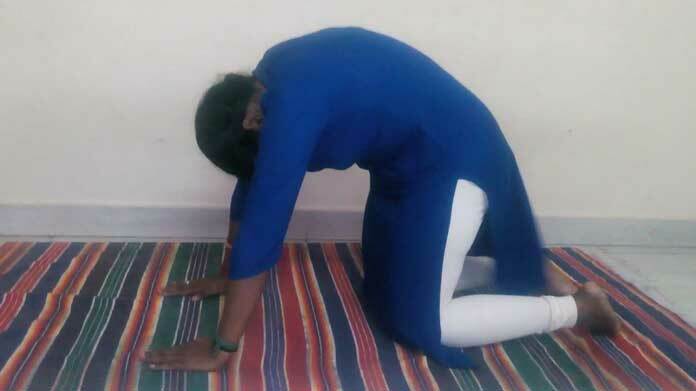 Apart from being a yoga-instructor at schools, she also practises therapeutic yoga and undertakes personal visits to hospitals for treating patients referred by doctors. Contact her @[email protected].